Ride-sharing firm Uber has announced it is buying Dubai-based rival Careem for $3.1bn (£2.3bn). Careem was established in 2012, and operates in 15 countries across the Middle East, Africa and Asia. The firm will continue to operate under its own brand as a subsidiary of Uber. "This is an important moment for Uber as we continue to expand the strength of our platform around the world," said Uber chief executive Dara Khosrowshahi in a statement. "Careem has played a key role in shaping the future of urban mobility across the Middle East, becoming one of the most successful start-ups in the region." Careem co-founder and chief executive Mudassir Sheikha will lead the Careem business once the deal - which still requires regulatory approval - has been completed. 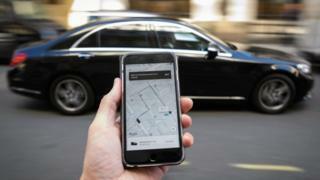 The announcement comes amid reports that Uber is preparing to list its shares on the New York Stock Exchange. The tech firm could be valued at as high as $120bn. Uber's rapid expansion, and its disruption of the traditional taxi industry, has sometimes led to controversy, and it continues to face opposition from both private hire drivers and regulators in several countries.